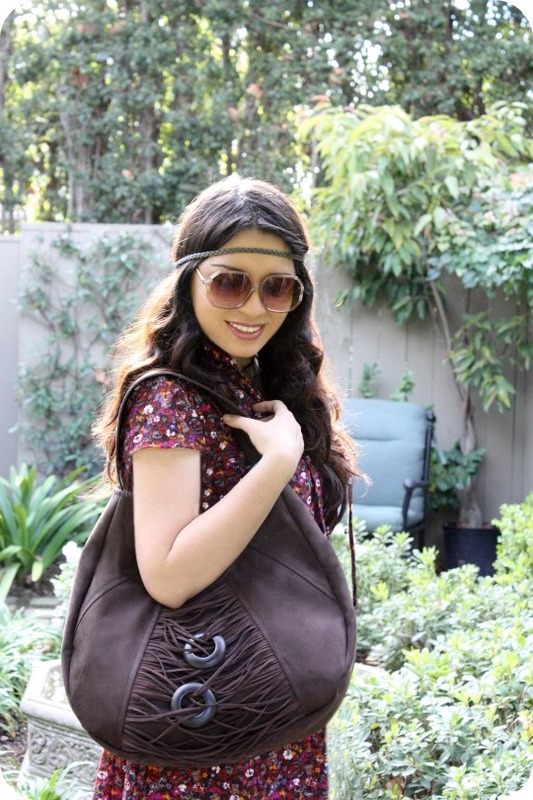 What's not to love about this adorable Boho bag created by Celia from Paco + Lupe, one of my lovely sponsors! I adore everything about this bag named Layla, from the dark chocolate color and the fringe detail to the adorable lining. 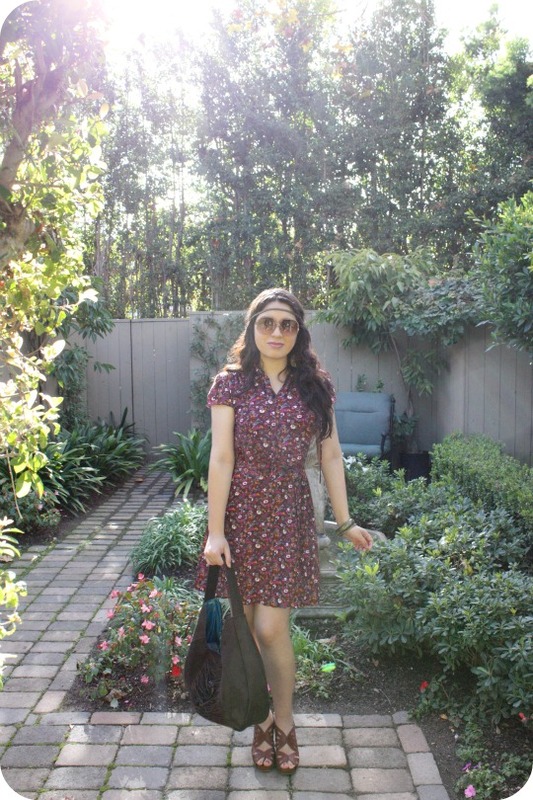 I wore one of my favorite Vintage dresses on a Saturday morning while I was in Santa Barbara, it was the perfect occasion to take Layla with me. I'm very happy to have Paco + Lupe's latest creation and limited edition bag! That's right, there will be only 4 bags like Layla in the world, so you better hurry to get yours! 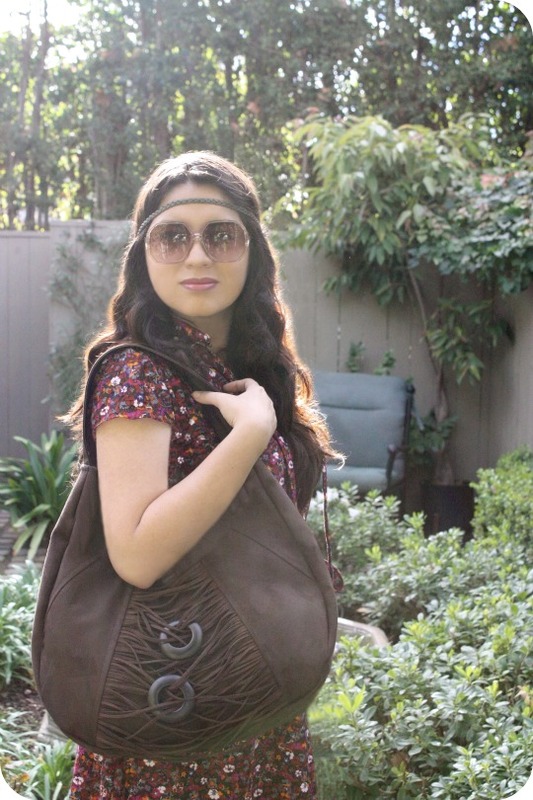 This beautiful Boho Bag goes perfect with most of my outfits, the design and color are very versatile and stylish! I couldn't be happier. 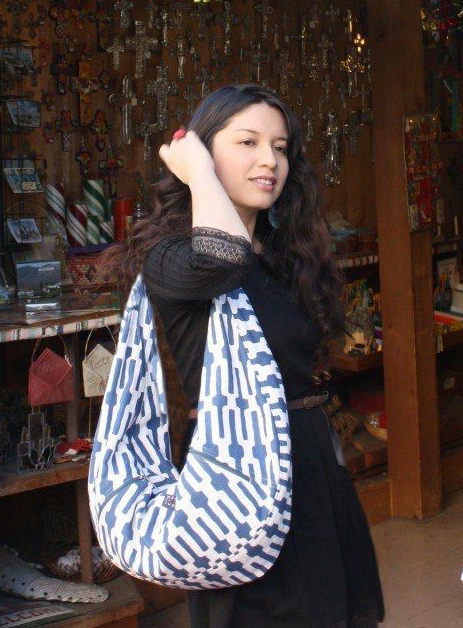 Paco + Lupe has a gorgeous selection of unique bags made out of the most beautiful fabrics! Their products are all 100% original and handmade. Paco + Lupe's fashion collection is young, trendy and urban. The also have a home collection that is all about comfort, style and functionality. You can visit Paco+Lupe on their Online Store: pacoandlupe.com or you can visit them on Etsy: Pacoandlupe Thanks for your lovely comments! Como no adorar esta hermosa cartera estilo Boho creada por Celia de Paco + Lupe! Me encanta todo de Layla, ese es el nombre de la cartera, desde el color chocolate y el detalle fringe hasta el color del forro. Me puse uno de mis vestidos Vintage favoritos un Sabado por la manana mientras visitaba Santa Barbara, era la ocacion perfecta para ponerme mi nueva cartera. De hecho recibi muchos alagos por ella, estoy super feliz de tener una creacion tan linda y ademas de edicion limitada hecha por Paco + Lupe, ojo que solo habrán 4 carteras como esta en el mundo, asi que si quieres tener una, es mejor que lo hagas ya! Esta linda cartera va con casi todos mis outfits, el diseño y el color es muy versátil y hermoso! No podria estar mas contenta. Paco + Lupe tienen una linda seleccion de carteras hechas a mano y con las mas hermosas telas! Sus productos son todos 100% originales y hechos a mano. Su colección es juvenil, con toques urbanos que están siempre a la moda. También tienen una colección de cosas para el hogar, esta colección esta enfocada en el estilo y funcionalidad. Puedes visitar Paco + Lupe en su tienda Online: pacoandlupe.com o también puedes visitarlos en Etsy: Pacoandlupe Gracias por sus lindos comentarios! It's so unique, I love it! What a beautiful bag!! I didn't know about the store, thanks for sharing! Wow I love your photos, you look stunning and the bag is so cute! Es muy chula, la verdad. the whole ensemble is nothing but pretty...you look so gorgeous in that vintage dress, plus the hair is just fab. que guapa vas, ese vestido me encanta!! un look precioso! I love your vintage buys the most, especially the dress! guapísimaaa!! me encanta el look!! Amazing bag!!!!! The look you created is fantastic! Love the whole ensemble!!! That bag is so unusual. Super cute! ONLY 4?!?!? Why??? love all that you are wearing! heading to shop right now. the bag fits you perfectly and the touch of vintage is really awesome...love the color of the bag too and your dress so pretty!!! Wow! The bag is divine as well as your dress! Great outfit. You look gorgeous! hola chica! 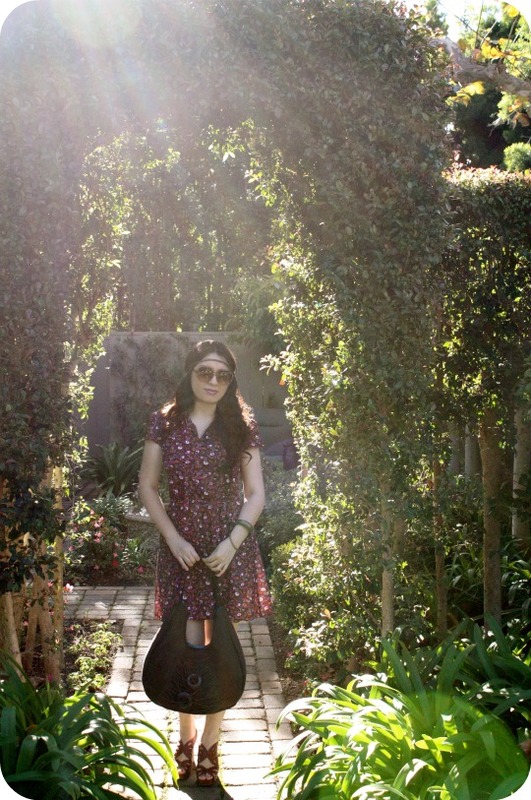 I just found your blog, and love your looks, you do boho so well! Very cute! I love a human name paired with an object. Just like I love human names for dogs! Great photos! I love the whole ensemble. you look so cute. great photos, I love your bag. WOW!!! That bag is beautiful but you are just gorgeous! You look so pretty and healthy! <3 x Mila. You look just gorgeous. Beautiful bag! I specially Love the third picture with all the green behind and the light coming through! It is so perfect...the color and style are so my taste! 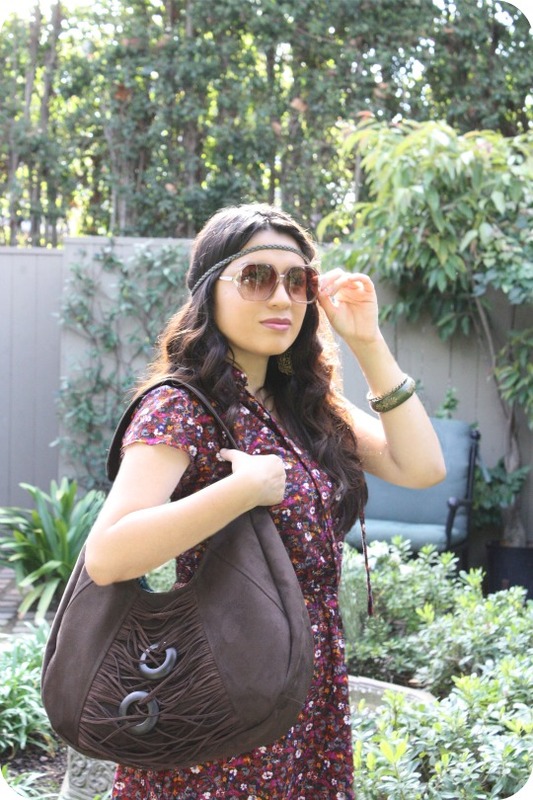 LOVE....Nothing like bohemian hippie chic look. Fantastic!! I am pretty much in that style everyday! So cute! How lovely you are. Can I say...whoever gets a Layla bag is super lucky! Love the idea that there are only a few out there! No one else like Layla...love it. ¡Cuanto tiempo! Me ha gustado muchísimo la nueva imagen de tu blog, aunque la anterior también me parecía preciosa. Se te ve fenomenal en estas fotos. Estás muy guapa. I think i want that bag! Gorgeous! I love your style Giovanna. The bag is fabulous too. I want that outfit. & im lovin' that head-band hippie look. I did something similar to that. I took a braided belt and used it as a head band. Cute post!